Welcome to Episode 73 of the Final Surge Podcast. We have had some great runners on this podcast. Neely Spence Gracey, Nick Willis, Nick Symmonds, Dathan Ritzehein, Kim Conley and more, but maybe none has had a bigger influence on the running scene, especially the American running scene, like today’s guest. Today we welcome American Mile Record Holder, Alan Webb. Alan retired from running in 2014 and has not been seen much around the running community since then, but that is about to change. Alan is part of a group starting a new coaching service called RunDoyen. 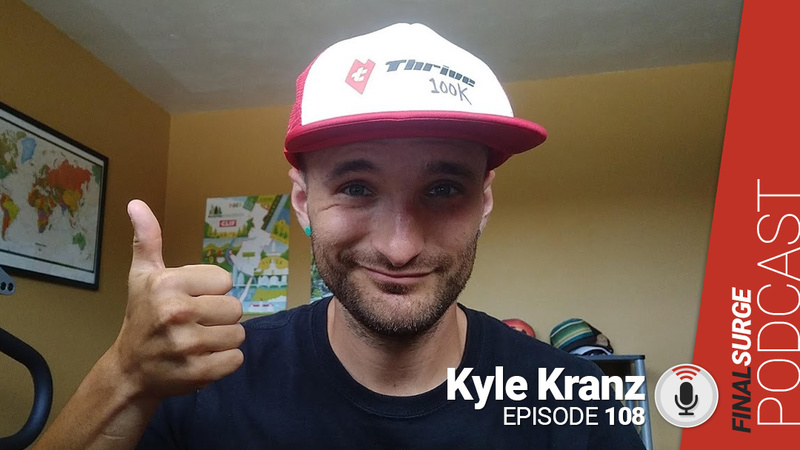 We talk to Alan about the goals of the business and how you, or anyone else can get personalized coaching from him and other professional runners. We also spend a little time talking about his training and the state of American middle distance running. Please remember to share this podcast on social media. Before we get to some questions about your career, let’s find out what you have been up to for the last three years. How is the truck repair business? There is a new site and Twitter account popping up called RunDoyen. It has listed yourself, Tara Welling, Ryan Vail, Aaron Braun, Jessica Tonn and more. A tweet said you are launching a new concept that reinvents the way the running community connects. Can you tell us what this project is? Will it be a monthly membership service? What type of training plans are you offering? If someone is interested in working with you in a mile program, what is the timeframe? What was it about this idea that got you excited to get involved in it? What else can people expect? What type of feedback are you looking for with communications from your clients? Are nutrition and physical therapist you have listed on site included? These are well-known professionals, what type of client you will be working with? We know your work ethic and how hard you hit it on your workout days. What is your coaching philosophy? Will you personally be working with someone who wants to run a longer distance like a marathon? When you ran you were known as someone who liked to hit the weight room and hit workouts hard. Was that something specific to Alan Webb or would you incorporate this into your athletes you are working with too? We had Jonathan Marcus on recently and talked about some of your workouts, will be dusting off your training logs to bring some of those back? One of the workouts was a shorter 100’s do you remember what your paces were? Do you have all your old running logs? It has been three years since you retired if you could paint a picture of what that time has looked like? Do you have any running goals for the future? You are arguably the greatest US middle distance runner of all time. So when you looked at retiring, why truck repair? I want to ask you about the mile. When Steve Scott set it, it stood for 25 years before you broke it in 2007. And now it has been another decade and no one has touched it. Why do you think this has been so hard to break? You ran 3:46, that is a well respected time. Is American middle distance running progressing the way it should be? What do you think has been the biggest reason for the resurgence? What advice do you have for young high school runners? You had times in your career that you were plagued by injuries. Looking back at it now is there anything you think you would have done differently?